Global climate variability and change is increasing the frequency and severity of natural disaster events and security risks in the Asia-Pacific region. 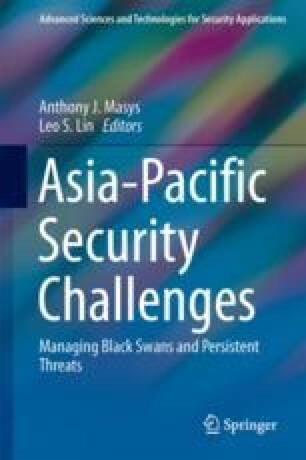 This paper puts forth a number of conceptual, theoretical, political and normative arguments for developing the field of Climate and Sustainable Security and applying it to identify creative and tenable security solutions to problems that lie at the interface of resource scarcity, human insecurity, national vulnerability, and ecological fragility in the Asia-Pacific region. Even conservative estimates predict that the rising temperatures and changing ocean levels in the Asia-Pacific Region will lead to significant socio-economic, environmental and security concerns: higher temperatures, rising seas and a more energetic hydrologic cycle are expected to contribute to more intense storms, droughts, crop failures and food insecurity. Sea rise for coastal cities may be particularly damaging, especially as people and population densities continue to increase in flood plains and coastal areas of the Asia-Pacific. The herein proposed paradigm of Climate and Sustainable Security deals with protecting, restoring, designing, and implementing a set of integrated natural, industrial, civilian, and security processes that equitably and responsibly meet the biophysical needs of human communities in the Asia-Pacific region, while maintaining long-term climate security, respecting financial constraints, meeting ecological limits, and improving institutional arrangements for transparent, accountable, and effective governance. It is concluded that emergency managers, security professionals and governments must promote climate adaptation and mitigation measures that protect communities in the Asia-Pacific region.